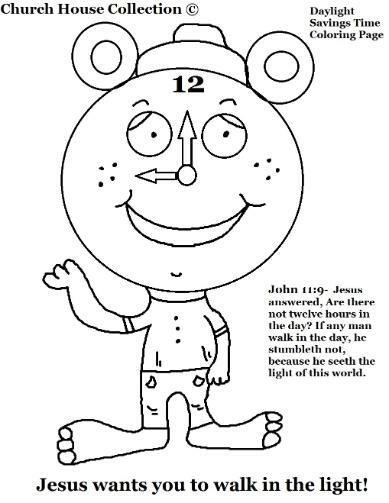 "Jesus Wants You To Walk In The Light"
Just print this out and have the child color it. Use this for when Daylight Savings Time rolls around. A fun way to teach to the scripture and Bible with the daylight savings time.